We do really amazing stuff! It's fun to work here! Genesis Digital is growing by leaps and bounds. The secret to our success is simple: we hire the best employees, and we offer the best benefits: no commute, generous health care coverage, competitive salaries, and great culture. Amazing SaaS e-commerce company wants someone tech-savvy and personable to provide technical support for our suite of marketing tools. Genesis Digital has been an industry leader since 2013. We’ve got start-up values but professional structure. We also have a wide suite of products, some of which need a plug and play genius to take them to completion. This is THE opportunity to work on exciting new tech (from home!) with an awesome team. This is a solid full-time position (We’re not a flakey “Start-up” – we’re profitable, stable, and growing) for an A-class customer service professional with experience, technical skills, and a winning personality. As Customer Success Agent, you will be the first line of contact for our customer base of thousands. Using your computer savvy and interpersonal skills, you will help them achieve success with our software. Provide assistance to customers as a product expert. Resolve basic to complex support problems for customer inquiries received via email and live chat (and occasionally phone). Recognize complex issues and report or escalate them to your supervisor. Work under limited supervision with considerable latitude for the use of initiative and independent judgment. Customer support experience dealing with issues, troubleshooting and problem resolution, preferably with software. Exceptional writing abilities to provide clear and empathetic customer support through email and live chat. Strong Web and Mobile App navigational experience, and the ability to pick up new technology quickly. Ability to efficiently manage multiple projects and tasks at the same time. Passion for and responsibility to the customer. Passion for what you do and drive to improve. IMPORTANT: Bring ONLY Amazing Attitude. We work real hard, so it’s got to be with other Excellent people. When you contact us to apply, include a 300 word statement about why you’re exactly who we want. Input your cover letter, resume, and a link to your portfolio below. Laravel genius with enterprise-level experience wanted to take management of two killer products for amazing SaaS e-commerce company. $100,000+ compensation. North American time zones preferred. Genesis Digital has been an industry leader since 2013. We’ve got start-up values but professional structure. We also have a wide suite of products, some of which need a plug and play genius to take them to completion. This is THE opportunity to work on exciting new tech (from home!) with an awesome team. We’re talking about WebRTC, RTMP streaming, Next-Level User Interface Design, and making it all work under load from literally tens of thousands of customers. We want an autonomous senior developer to take ownership of our best-selling signature products. You’ll be in charge of optimizing the software, providing clean, modular, documented, library-based code that can be easily scaled so our team of programmers can efficiently build from it; architecting the overall structure of new software features as per PHP best practices; and configuring the SQL databases to maximize speed and reliability. This is a solid full-time position for an A-class software architect with experience and a portfolio of previous works. It is vitally important that you understand how to handle thousands of events at one time — customer logins, e-mail sends, database queries, etc. 3 years+ PHP developing, experience in the Laravel Framework desirable. IPN and API’s or working with other API’s to integrate. Understanding of CRM, email marketing, tagging system in email marketing, autoresponders, and integrations with Autoresponder companies (Aweber, iContact, GetResponse, Constant Contact, etc). 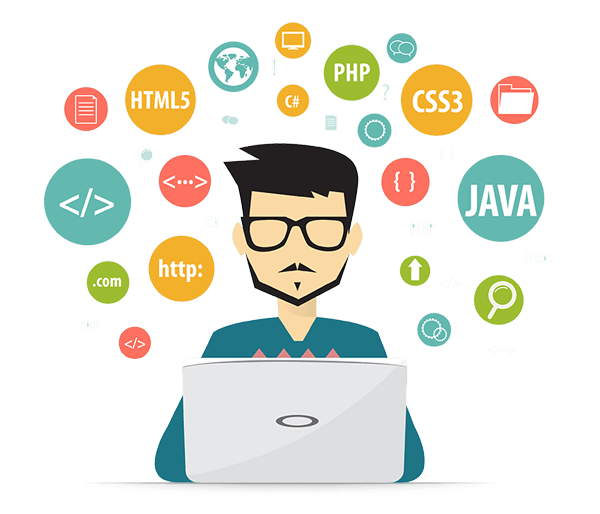 Basic knowledge regarding web design/coding (HTML5, CSS, jQuery, etc.) i.e. an understanding of modern UI and UX design and functionality. When you contact us to apply, include a 300 word statement about why you’re exactly who we want. Input your cover letter and resume below. NOTE: We vet our employees’ skills vigorously. Expect a small development test after the first exchange. If you know your stuff, it shouldn’t take you long. We’re Genesis Digital: a maverick SaaS company that’s upending the internet marketing industry with the most powerful, most capable marketing software available, at prices that are disrupting the market. Our products level the playing field for any online marketer who wants to quickly grow their business. Quite simply, we empower internet marketers like nobody else. You’re so good at this that you can pump out stunning, captivating designs in no time, practically in your sleep. You have such a good eye and creative flair that your designs will be the envy of our industry. You not only keep your finger on the pulse of the latest design trends — you set them. To top it all off, you absolutely nail striking the perfect balance of aesthetics and a fluid, delightful user experience — both desktop and mobile responsive. We know this is a high bar. You know you can clear it. Every day, you’ll enjoy designing high profile online assets that honestly communicate the tremendous value of our products to the market — while working in a fun environment with other conscientious A-players. Bring your A-game and a fun attitude, and you’ll be right at home here. You geek out on staying current on all the latest web building and design trends. Competitive benefits package. Salary dependent on applicant’s portfolio and experience. This is a solid full-time position with an industry leading company for an A-class software architect with experience and a portfolio of previous works. Develop new user-facing features and expand upon our existing application. Port and refactor existing JS/jQuery code to ES6/VueJS. Optimise application for speed, fluidity and scalability. Collaborate and tutor other team members and stakeholders on quality JS code by enforcing standards and best practices. Proven experience working on shipped VueJS/AngularJS/React heavy projects. Strong understanding of HTML5, cross-browser and cross-domain compatibility. Strong understanding of AJAX, asynchronous request handling and partial page updates. Proficient understanding of browser rendering behavior, and performance tweaks. LOCATION: Genesis Digital is a cloud-based organization, so you can work from anywhere. That said, the bulk of our development team is based in Romania, so European hours are preferred.